Saint Nick is a good guy. After 14 losses, you’d think the beleaguered Cleveland Browns would just hang it up . . . but they didn’t. Old St. Nick arranged that they would play the equally pathetic San Diego Chargers, and the Browns kept fighting and somehow won their first game of the year. Does it mean anything? Probably not — but it’s nice to see the Browns keep fighting, and as a result avoid the ignominy of being one of the handful of winless teams in NFL history. My mother used to say that you learn something new every day. She was right — as mothers always are. This morning I learned that gluten-free food can actually be pretty tasty. 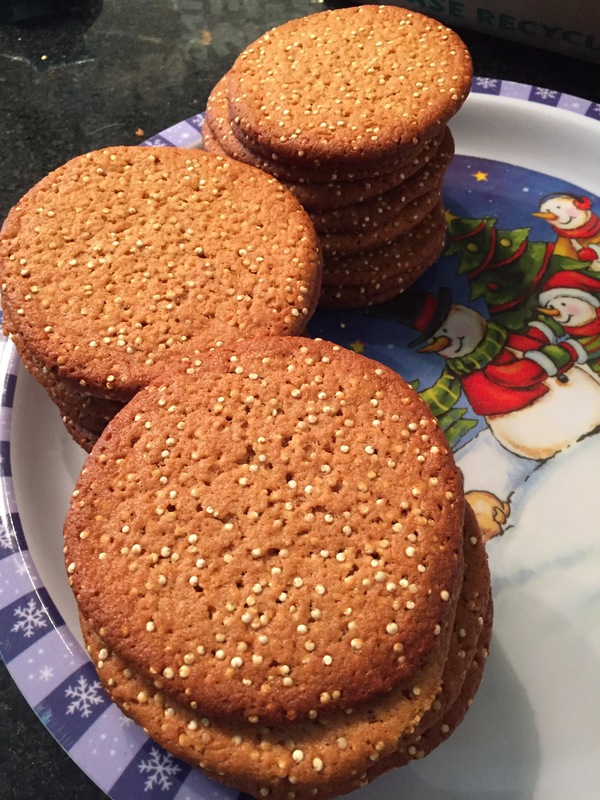 Because we’ve got a gluten-free guest coming for the holidays, I made these cookies with tahini — which is crushed sesame seeds ground into a kind of peanut butter consistency — the ever-unpronounceable quinoa, honey, brown sugar,, and rice flour. They’re crunchy and really good. I am also making some gluten-free spice cookies with cranberries and almonds and macadamia nuts. Tasty, and gluten-free? Who knew? 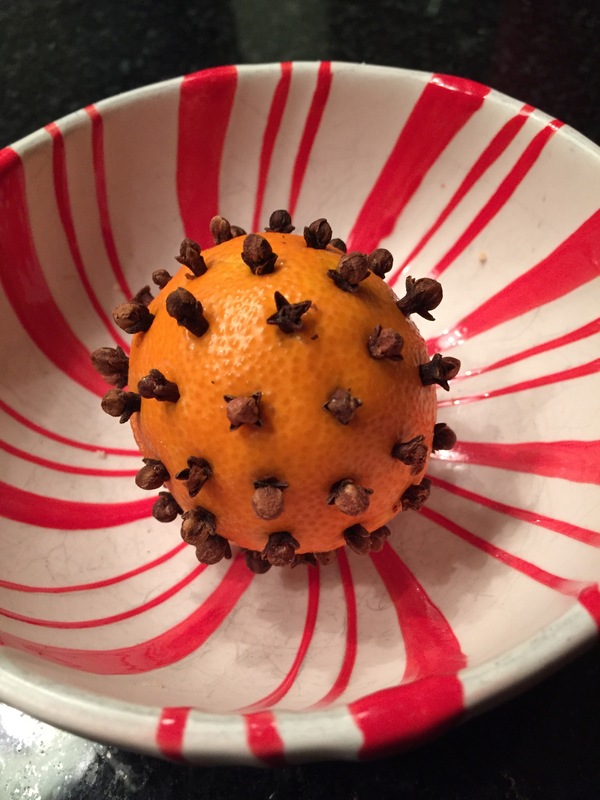 This morning I took one of the mandarin oranges Kish buys for the holidays and attacked it with a full arsenal of whole cloves. You push the pointy ends of the cloves through the soft skin of the fruit, covering the entire outer surface. The cloves and the citrus juices from the skewered orange then interact, producing a fine, delicate, spicy scent that leaves the kitchen smelling wonderful. The clove orange is one of the things — liking baking cookies, listening to holiday music, or “surprising” Kish with the inevitable gift of a new word-a-day calendar — that says Christmas to me. Thanks to Aunt Corinne, who first acquainted me with this holiday tradition.